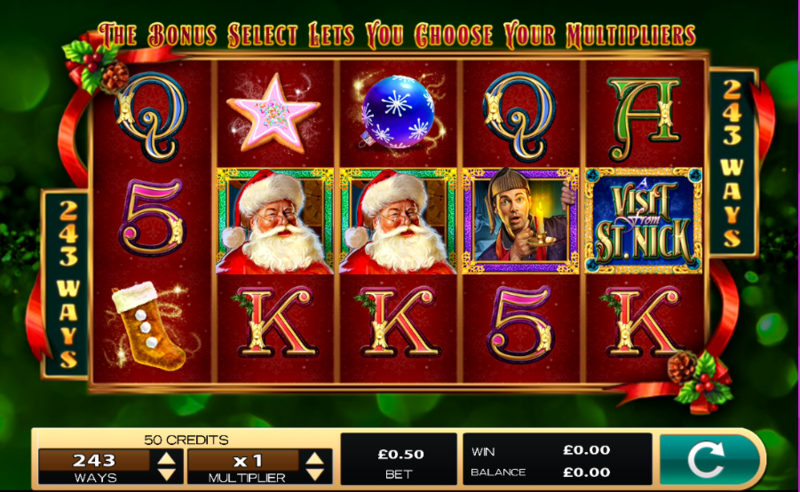 An Xmas themed slot with massive financial proportions, for new slots sites like Easy! High 5 Games are back at it again, this time with a more festive offering from their wide and storied catalogue of games! 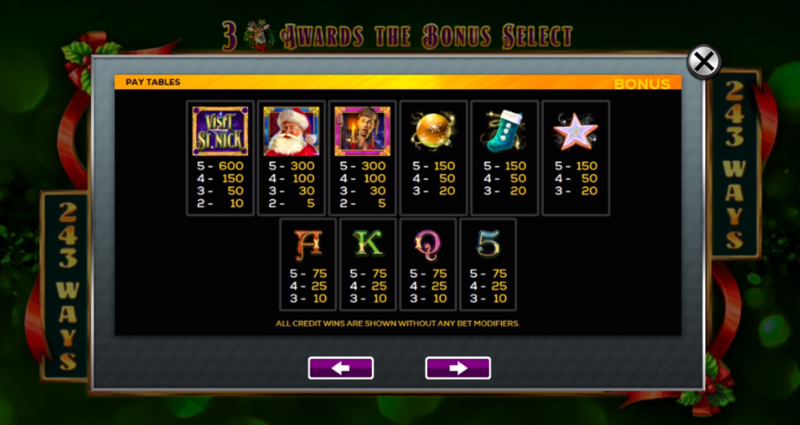 A Visit From St. Nick is a 5 reel sort of slot, one that possesses around 243 different ways of coming out on top, which is perfect for those out there looking for a little variety in their online slot offerings. If you are someone who likes to get in the festive spirit all year round, well then look no further than this one, as there is plenty of festive cheer to keep you going till December 25th! Be sure to check out the rest of our written review below for more information! Free Spins: Free spins are the most desirable of all additional features in that they come with massive multipliers that will only see your scores elevate tenfold. Landing 3 scatter symbols will unlock free spins in return, the more scatters you match the more free games you will accumulate. Wilds: Not only do wilds here substitute for all other symbols bar the scatter, but they also come with their own share of multipliers for simply matching them in the run of play. Up to a 4x multiplier is on offer here, making it very useful in your journey of coming out with the highest payouts possible. With many more slots bonuses to claim from our promotions page! A Visit from St. Nick is one you should always look forward too simply because of how giving he is, not only will he be bringing boat-loads of cash, but he also comes with good times, which is all you can really ask for in an online slot outright. There are plenty of reasons to get excited about this one, be sure to check out this one if you haven’t done so already, it’s a cracking good time! If you enjoyed A Visit From St Nick why not try more like it on Easy.